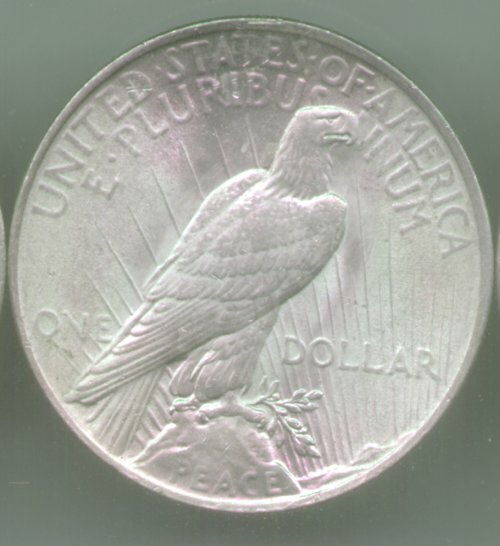 Peace Dollars have their own charm, even if they suffer from a design which was biting off more than the mint could do. 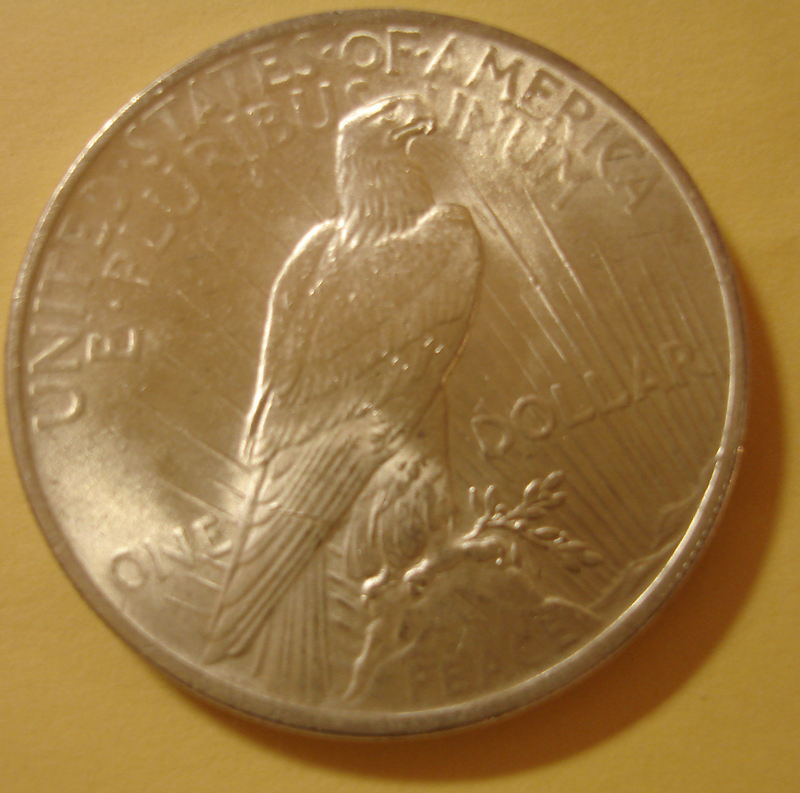 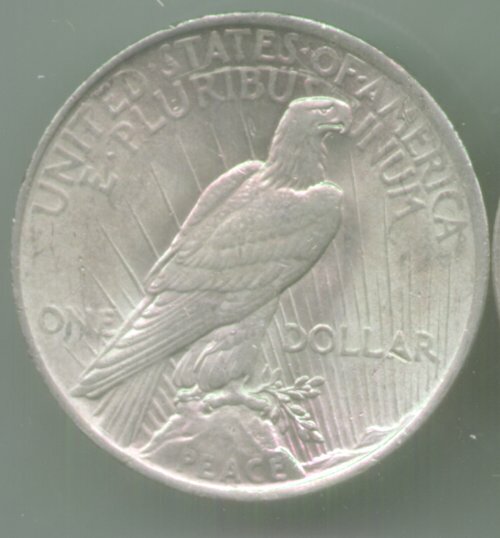 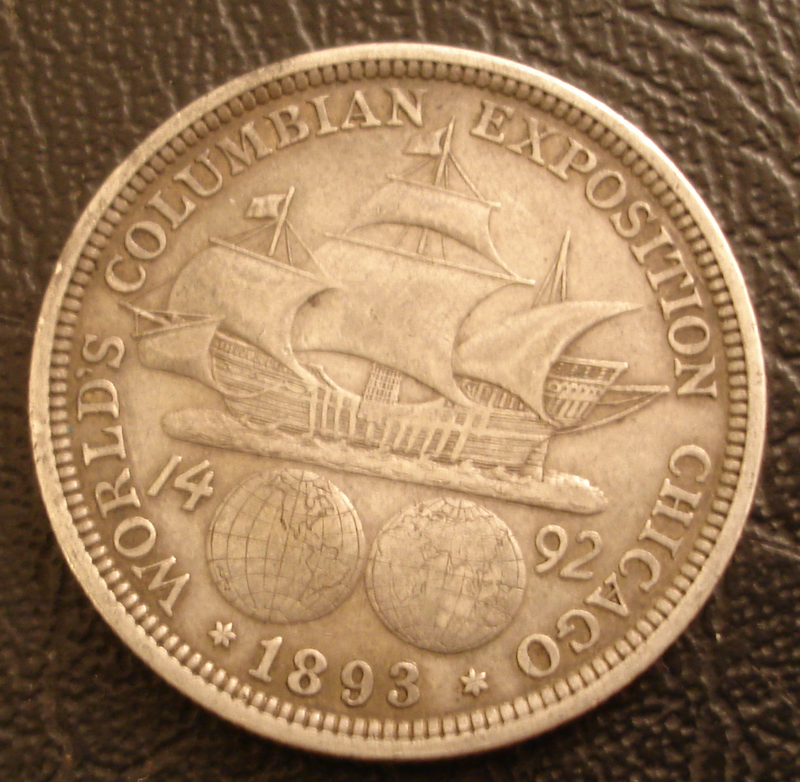 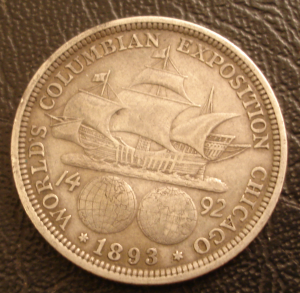 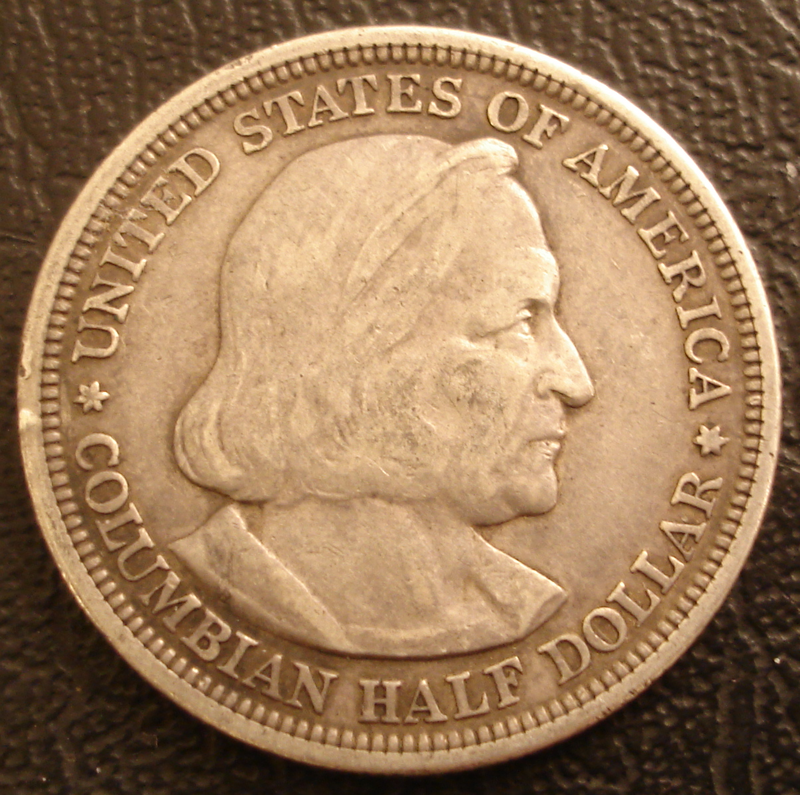 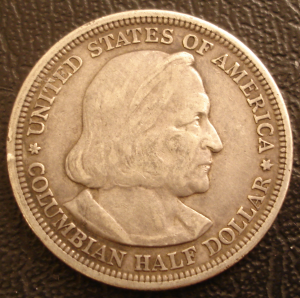 When they first came out, the design was just to complex and the mint was lacking expereince in making dollar coins. A redesign reduced some of the high points and made a more consistant strike. Liberty's new Hair Style and even facial expression reflect the heighted sense of independence by American Women in the early 20th century. 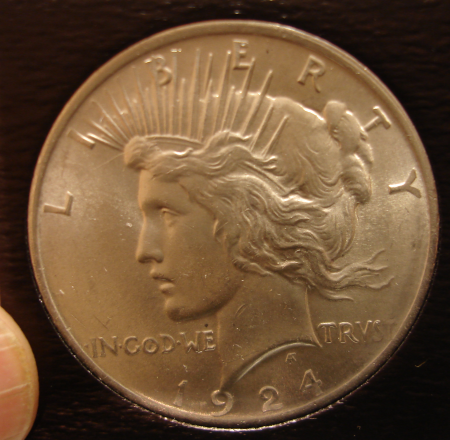 This a 20th Century women with little thought given to the classic look of coins like the Morgan Dollar. 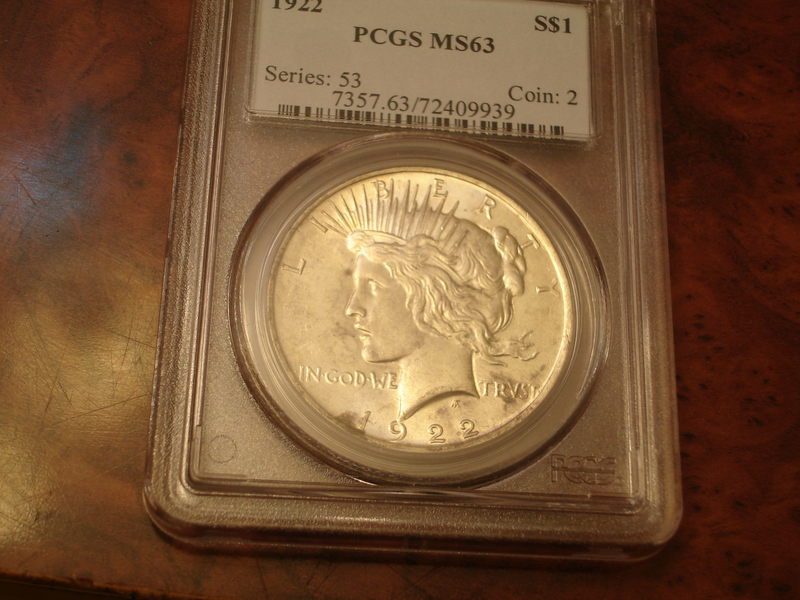 These links are too a wonderful 1922 MS63 PCGS graded example. 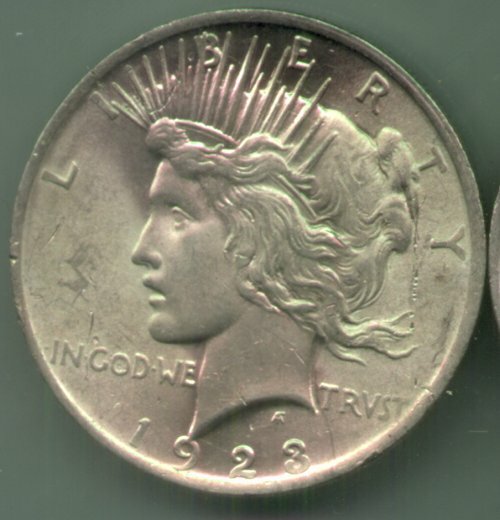 This coin is one of my favorites, although it is actually owned my one of my daughters. 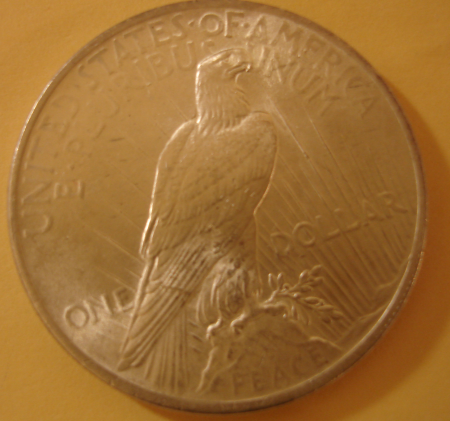 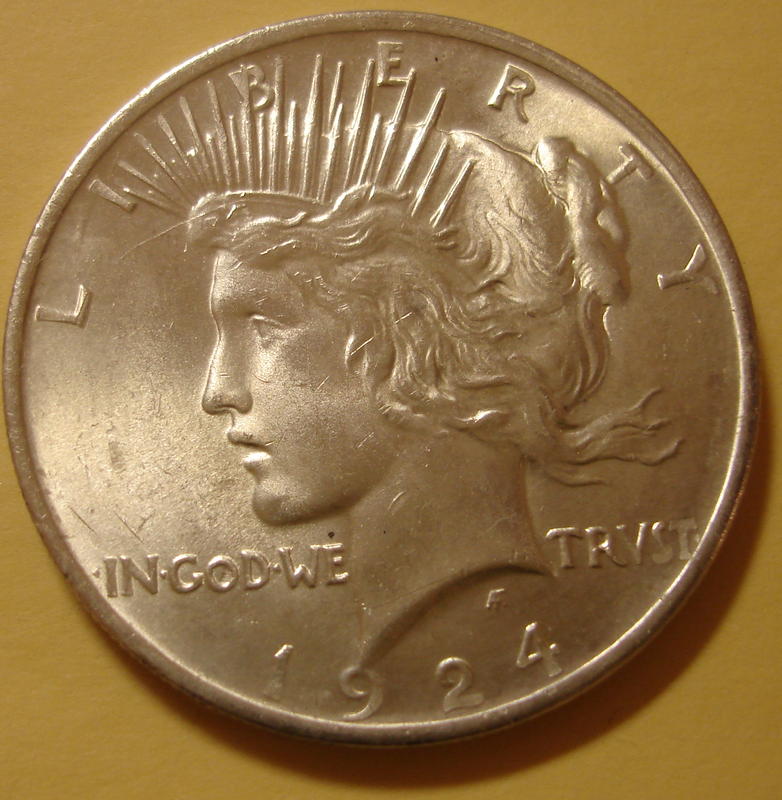 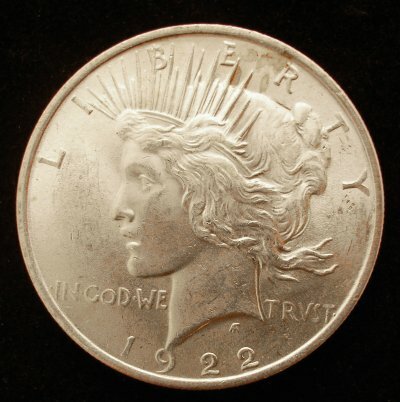 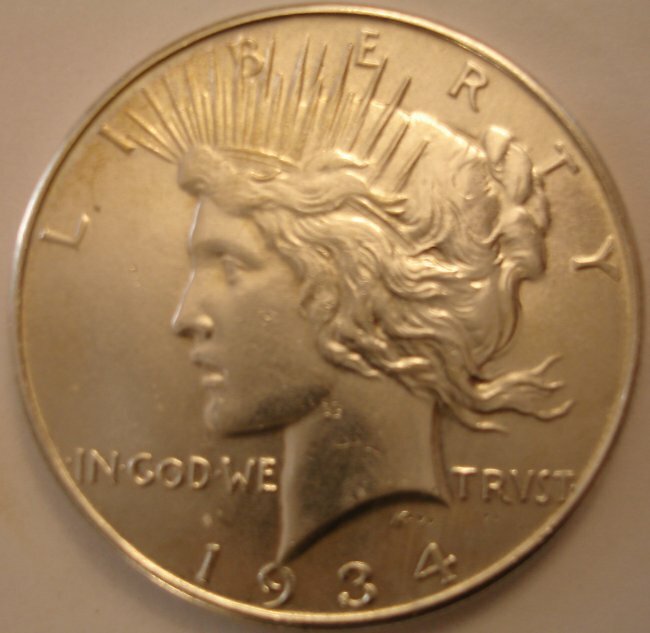 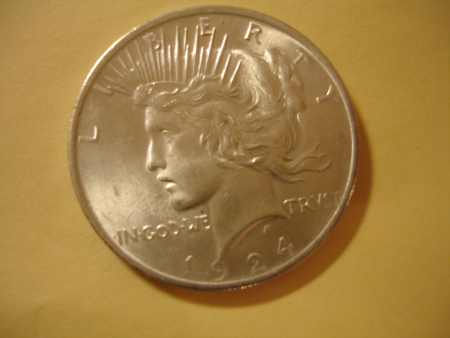 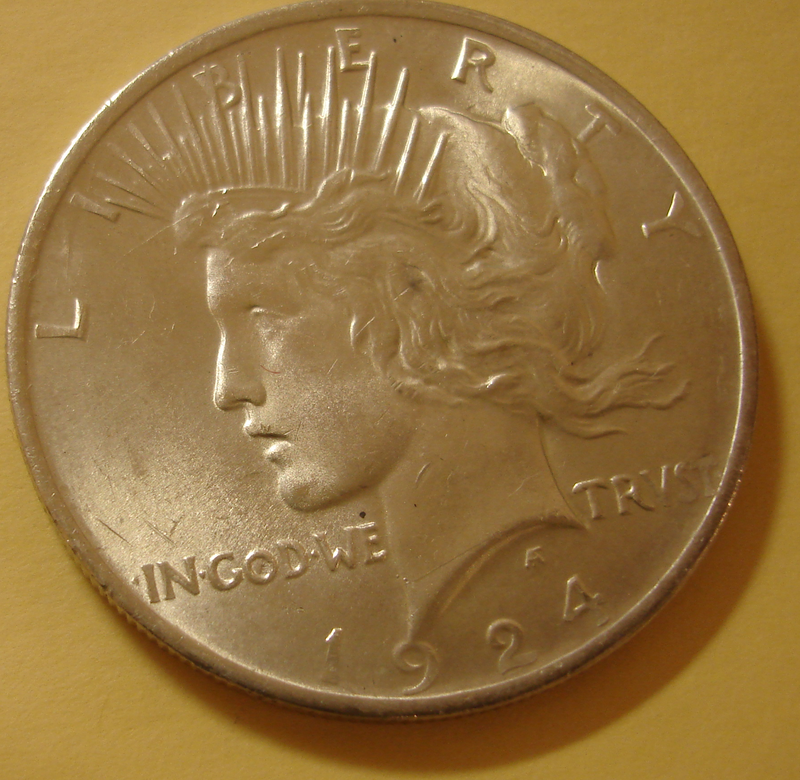 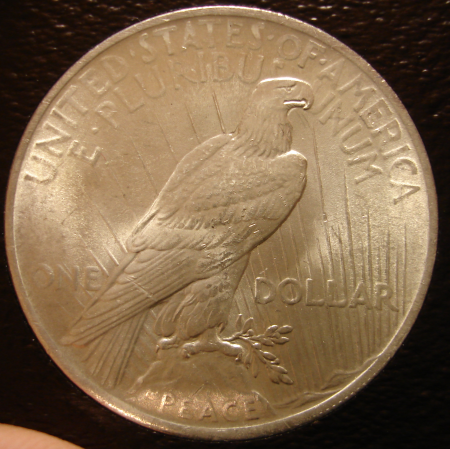 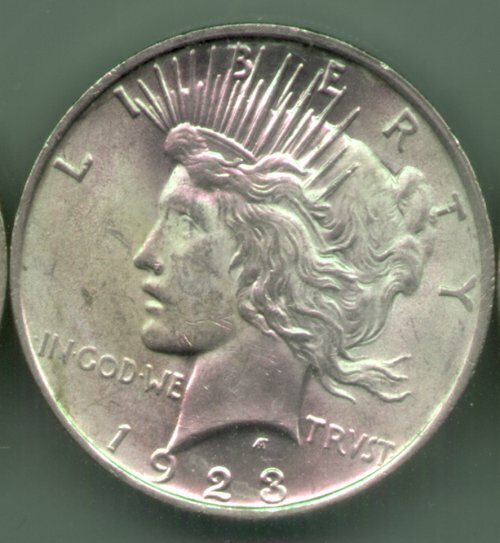 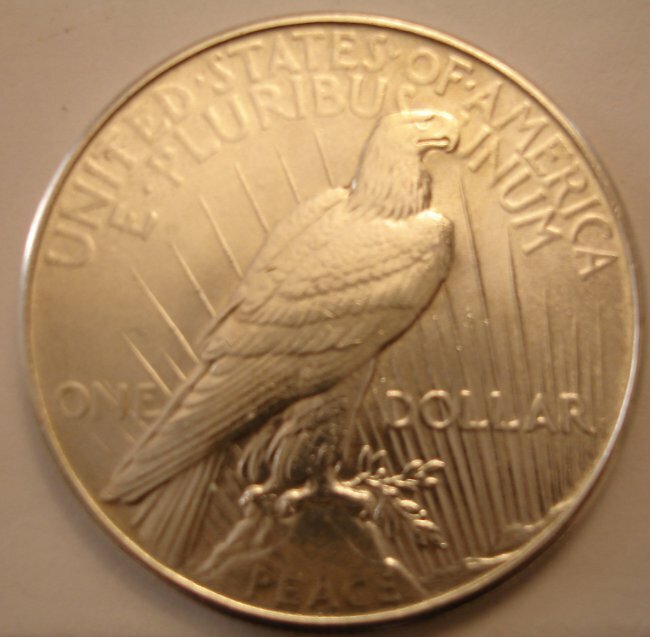 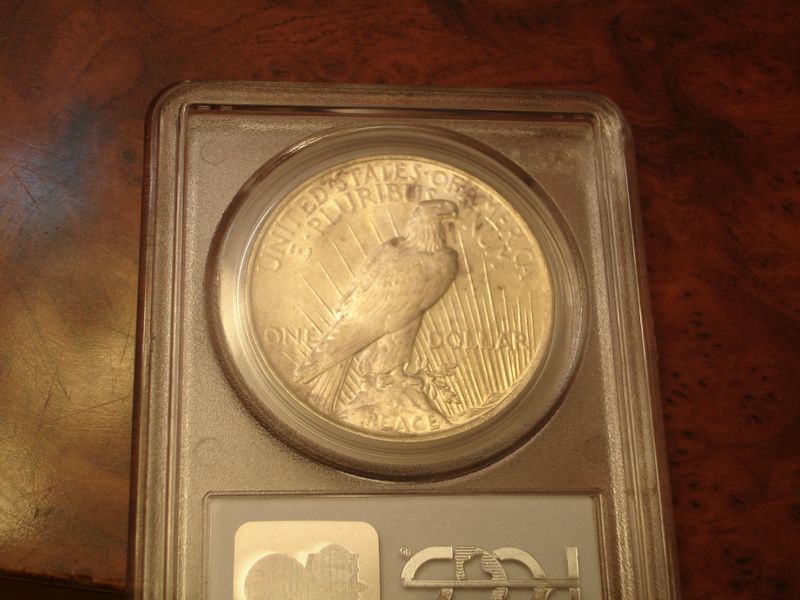 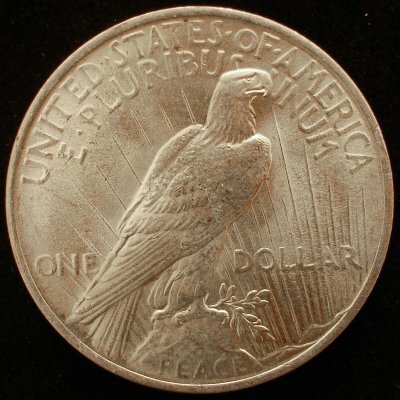 1924 Peace Dollar - Purchased from Stacks. 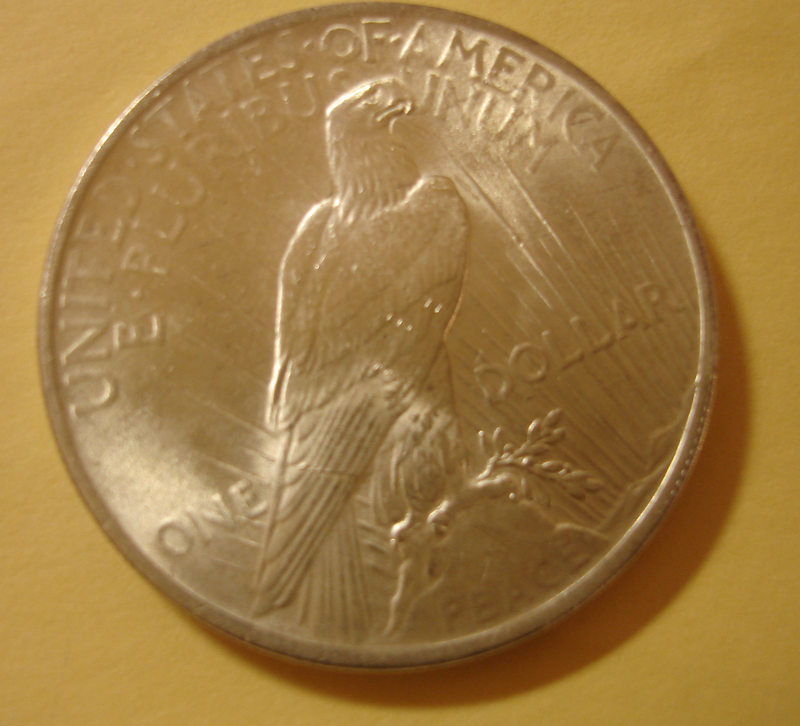 I noticed after the purchase that this coin would be a body bag coin because of the scratch on the tail. Beware when buying from Stacks. They will rip you off like this.